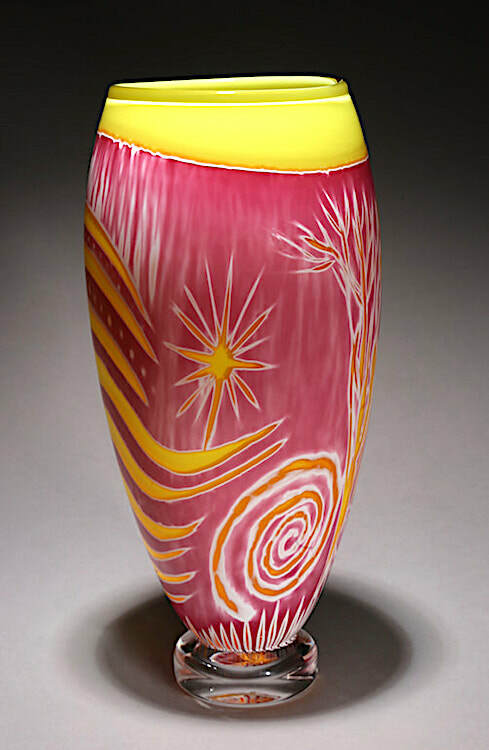 Internationally known glass artist Frits Dreisbach started his making glass in 1964 and has lectured and demonstrated glass art techniques all over the world, earning him the nickname 'Johnny Appleseed of Studio Glass' for inspiring the birth of numerous art glass studios and hot shops. He is founder of the international Glass Art Society and his work is featured in many museums, private and corporate collections worldwide. to inquire about Fritz's currently available work. This technique initially starts with thin, intense, multi-colored overlays, which are subsequently wheel engraved in the Intaglio style, thereby revealing the hidden colors beneath the surface. Later during the reheating and shaping of the final form, the original Intaglio cuts are fire polished to a smooth, glassy surface. Dreisbach's Mongo Series started in 1979 as a reaction to his earlier more tightly controlled symmetrical work. Wanting to regain a feeling of spontaneity he dramatically increased the size and weight of his pieces and 'let the glass move again', oftentimes on the edge of control. 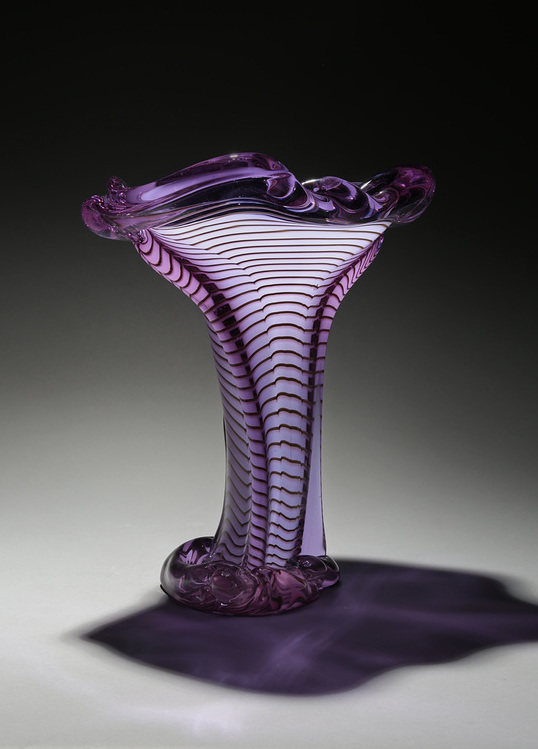 Many of these pieces incorporate intricate patterned canes created in the Zanfirico technique. 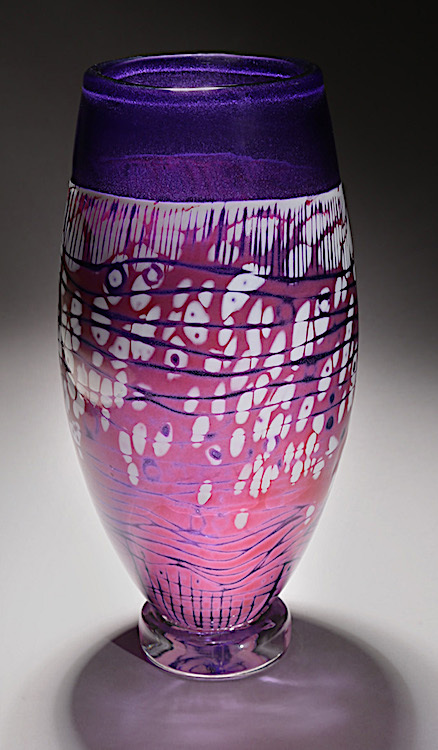 These pieces start by blowing solid colored vessels from a colored glass furnace. 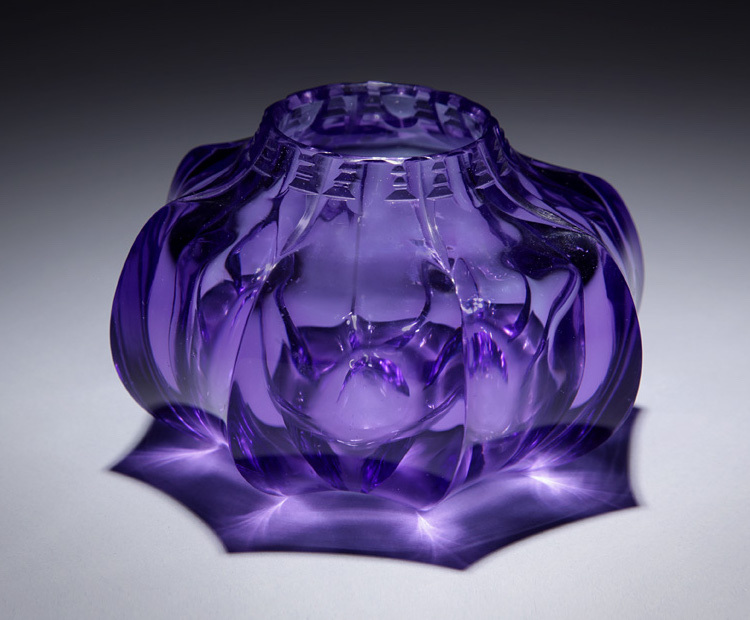 Fritz calls these 'blanks' and begins by cold carving shapes and edges much like faceting a diamond. These edges create dramatic optical effects and color changes caused by the variations in wall thickness. He experiments with a variety of ground surface textures: everything from as shiny as hot glass to the velvety smooth matte-look similar to acid-etched glasses popular in the early 1900s. The velvet surface help us to 'see' the complete form more accurately since the surface does not disappear into a shiny glitter. 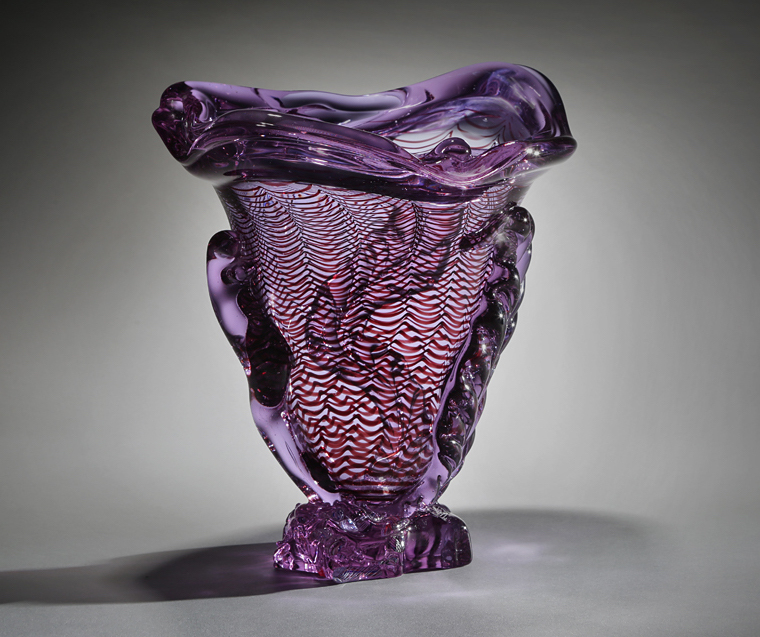 Goblets have been interesting to Dreisbach since he started to blow glass in 1964. 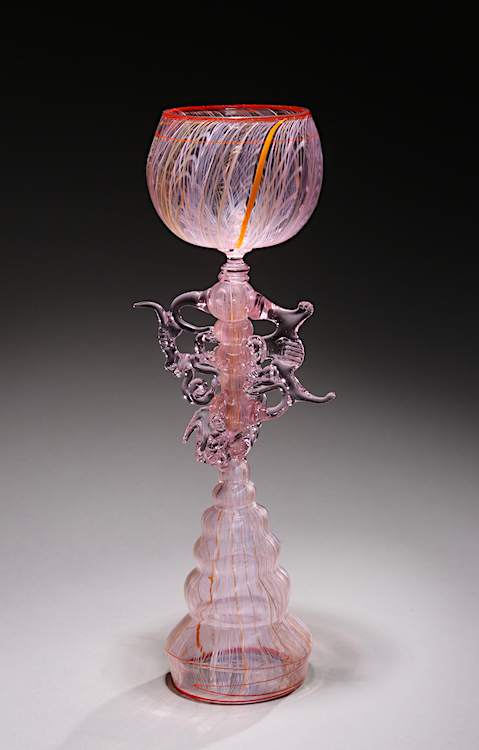 Historically, goblets have always demonstrated the delicate fluidity of molten glass. They consist of three distinct sections or zones: the cup (for drinking), the foot (for support) and in the middle the artist can put anything he wants. But, no matter how loose and organic the stems are, the lip and foot must still function! About 1980, he conceived the concept of a reversible goblet. Since each goblet foot is also a bowl, you can drink out of either end.